Chequered Flag International is pleased to offer this 1992 Porsche 964 Carrera Series 2 Coupe in Guards Red with Black Leather Sport Seats. Has Cup 1 wheels. Two owners from new with 32,737 miles and a clean Carfax. First owner til 2004 and second til we purchased it. Fantastic body with apparently all original paint (see meter readings below). All stickers in place including option code sticker under hood. Fantastic interior with no cracks in the dash, original un-redyed seats, great door panels, roofliner and carpets. Stereo head unit was upgraded to Sony CD player. Mechanically superb and a delightful driver. Great power, smooth transmission with good syncros and clutch. Brakes and steering are both good and responsive. A/C, power steering, and sunroof all work well. Comes with; records from '92 to '04 books, including maintenance book with option code sticker, tools, and jack. 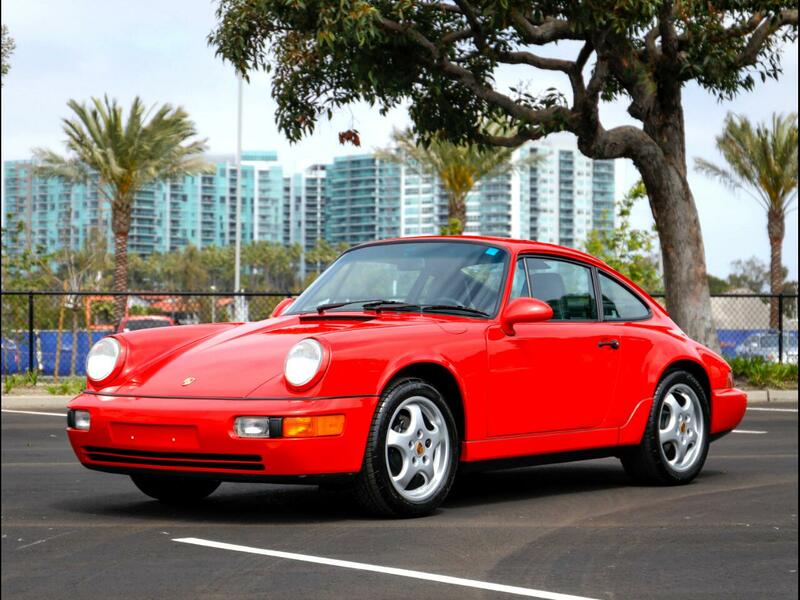 The 964 coupe is a desirable, limited production car with C2 being the preferred variant. Series 2 is quite a big improvement mechanically and prettier with the 17'' Cup Wheels and redesigned mirrors. Add low miles with original paint and you have a rare, very collectible, fantastically drivable classic analogue Porsche. Inspections encouraged. All sales AS-IS. Sales tax and license fees due if delivered in California.